Living a fit and healthy lifestyle doesn’t happen overnight. It takes a consistent and dedicated effort to not only become physically fit, but to maintain a healthy lifestyle in the long-term. Although exercising consistently and eating a nutritious diet are the cornerstones to achieving a healthy lifestyle, the following four quick tips can help improve your efforts, as well as provide some fun and memorable experiences along the way. As the weather gets cooler and everyone settles in for winter preparation, the fall season is one of the most popular times of the year for running races, triathlons and fitness competitions. A fall family 5K or fitness event can be a fun and memorable experience to enhance and energize your workout routine. By following a training plan for your fall event and completing the activity either on your own or as part of a family/group of friends, you can gain a sense of accomplishment and pride that will drive you to continue improving you and your family’s healthy lifestyles. Furthermore, writing down specific health and fitness goals associated with a race or fitness event can help keep you focused and on track to realizing monumental accomplishments. Clear and concise goals help eliminate the clutter that can build up in your busy life and mind, while giving you a concrete reason (finish a race, beat a personal best time/record, etc.) to stay motivated, eat well and work out on a consistent basis. With work deadlines, family commitments and busy back-to-school schedules, sleep can easily become overlooked. Getting an adequate amount of sleep per night, though, does more than just rest your body and mind – at least eight hours of sleep per night helps to prevent weight gain, diabetes and heart disease. While everyone may wish they could sleep in more often, realistically, that may not be an option. If you struggle to get enough sleep each night, you can start setting up more healthy sleep habits by going to bed 15 minutes earlier for a week, followed by 15 minutes earlier the next week and so on, until you reach your desired bedtime that will leave you with eight hours of valuable sleep. In addition to getting enough sleep each night, it also is important to get quality sleep. Recent research has shown that individuals who exercised regularly (logged at least 150 minutes of physical activity each week) reported 65 percent better sleep quality. The individuals in the study who exercised regularly fell asleep faster, reported less daytime sleepiness and more daily productivity than those who weren’t as active.2 By focusing this fall on getting enough quality sleep each night, you can take steps toward positively improving your overall lifestyle. Digital distractions are everywhere with smart phones, laptops, tablets and televisions filling up our days. While these tools can help you juggle the many hats you wear on a daily basis (parent, co-worker, friend, volunteer), it is important to unplug from these digital drainers on a regular basis and force yourself to focus on one thing at a time. For instance, leave your digital gadgets in your car or at home when you go into the studio for your daily workout so you can focus all of your mental and physical efforts on improving your healthy and fit lifestyle. This may help keep you from getting distracted during your workout so you won’t be tempted to peek at your work e-mails or social media status updates in-between squat sets. 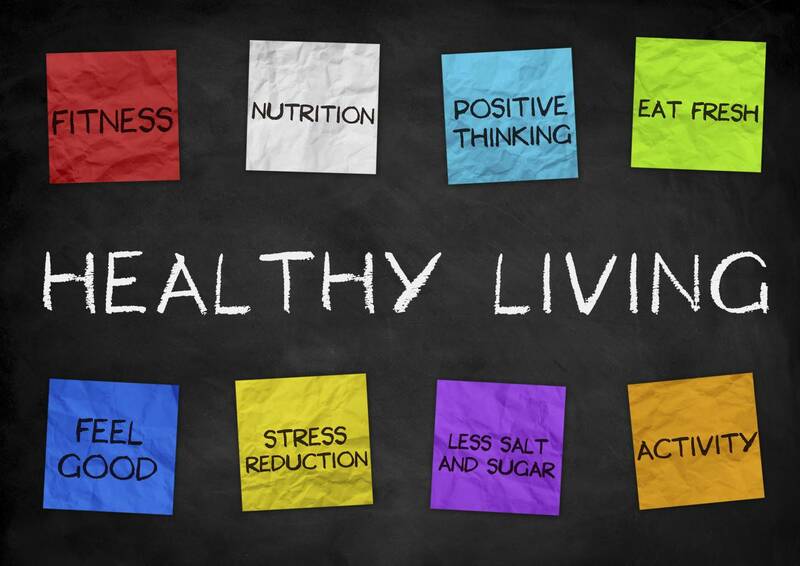 Healthy lifestyles take consistent, dedicated time and energy to establish and maintain. Using the four tips above is a good place to start implementing small changes in your life each day that can lead to huge improvements to your overall lifestyle. The experts at Fitness Together can further help you improve your lifestyle by taking your workout to a new level in a fun and energetic setting. Give our studio a call today to learn how our exceptional trainers will push you, motivate you and support you to elevate your fitness routine and exceed your personal expectations.